Miss Julie, a photo film, was my graduation project for scenography department in Art Academy in 2009. The film was shot in the apartment building I lived in at the time. The building on Tatari street in Tallinn by an Estonian architect Karl Burman was an inspiration and a big part of the making process of the film. Almost all of the furniture and props were found in the location. I used natural light for shooting. 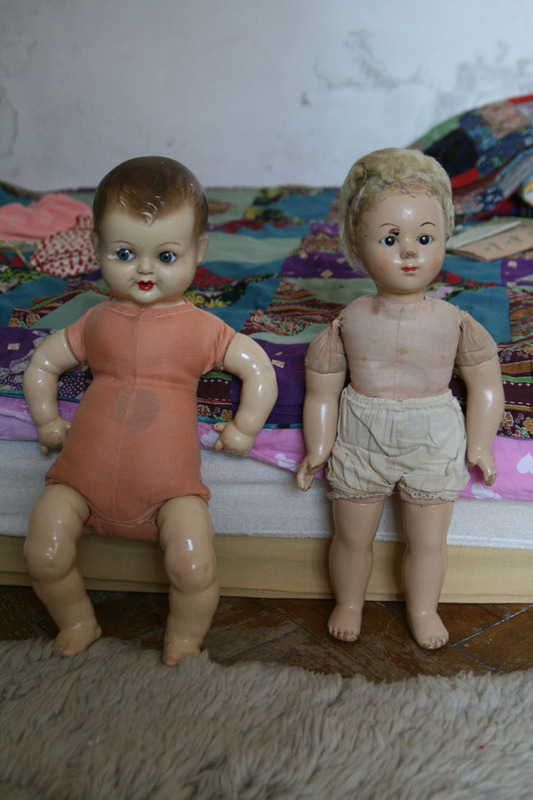 One of the dolls belongs to my mother’s childhood and the other protagonist was found from an antique shop. Costumes were designed by me, crafted by my sister. Miss Julie’s family portrait is of my great-grandparents and grandmother. One of the characters, the count, is played by recently passed Jüri Sillart, head of Baltic Film and Media School.